Dr. Hoa Tony Tran’s love and passion for dentistry began at a young age. Born in Southern California, his family moved to the Houston area in the early 80s, where they quickly put down deep roots. Dr. Tran grew up in the city of Pearland, where he graduated high school. 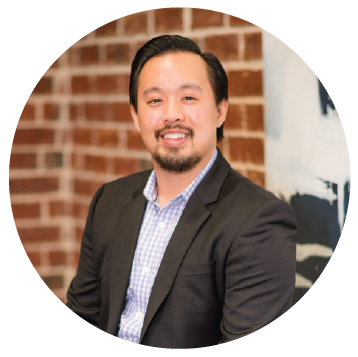 As soon as he could, Dr. Tran began his career in dentistry at the age of 20 as a dental assistant. In 2006, Dr. Tran graduated from the University of Houston with a Bachelor’s of Science in Biochemistry. Dr. Tran was then privileged to enter dental school at the University of Texas Health Science Center at San Antonio. Upon graduating in 2010 with his doctorate in dental surgery, Dr. Tran provided his hometown of Pearland with his expertise, love, and passion for dentistry, caring for thousands of patients who were once his neighbors, employers, teachers, family, and friends. After years practicing in Pearland while maintaining his residence in the Houston Heights, Dr. Tran founded Discover Dental close to home and is now providing his brand of dentistry to his neighbors in the Heights. Dr. Tran spends his free time serving his community, traveling abroad, and seeking an adventurous life. At Dr. Tran’s dentist office, he takes the time to understand each individual patient’s needs. Not only does his practice offer general dentistry & cosmetic dentistry, but Discover Dental provides Houston TX with Invisalign, dental veneers, tooth extraction, porcelain crowns, dental implants & more. Book an appointment today!